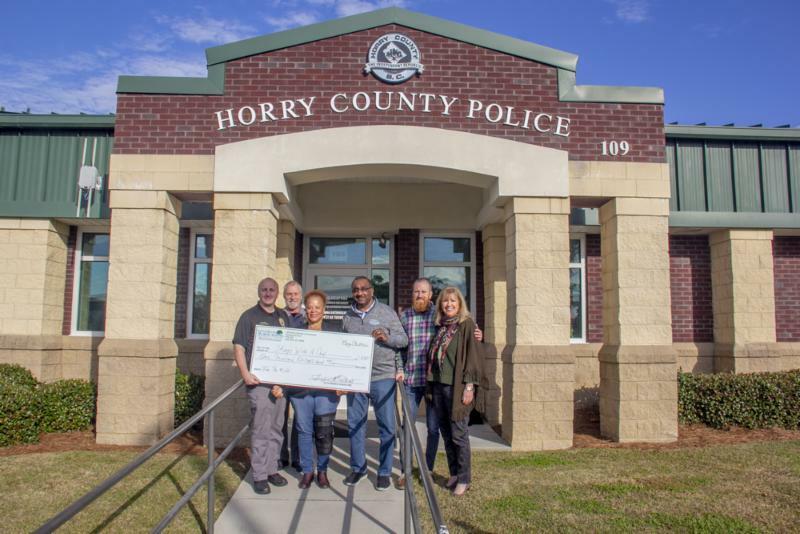 The Little River Chamber of Commerce & Visitors Center formally thanked the Horry County Police Department for their support of the Little River Chamber and community with a donation to their “Shop with a Cop” program. “Even though the flooding has stopped, families in the community are still hurting. 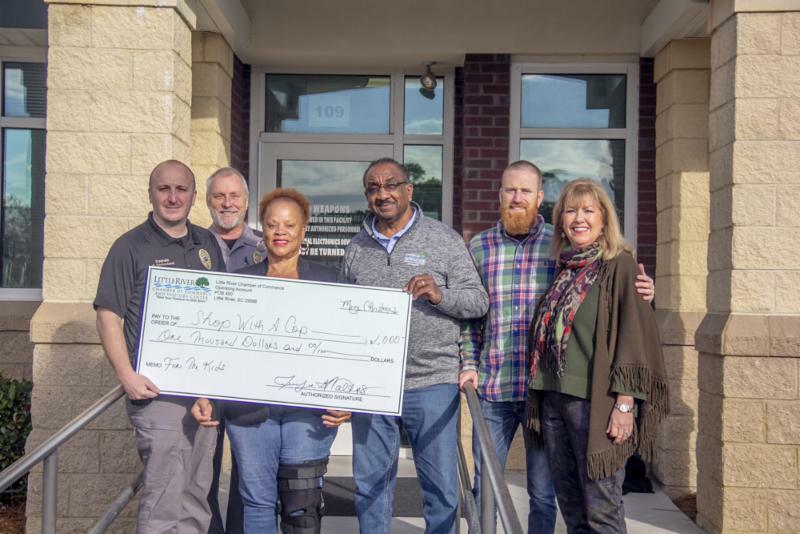 This program is a wonderful opportunity to give back, and supports our officers who are working relentlessly in on behalf of our community,” said Les Gore, Chamber Board Member. The chamber is charged with reinvesting proceeds from the Little River festivals back into the community. Our Horry County Police Officers serve both the World Famous Blue Crab Festival and the Little River ShrimpFest, and protect Little River and its surrounding areas 24/7 and 365 days a year. Captain Brandon Strickland, Horry County Police Department, is grateful for the added assistance, "This program is such a blessing. It's been a great way for us to assist and be directly involved in the community."